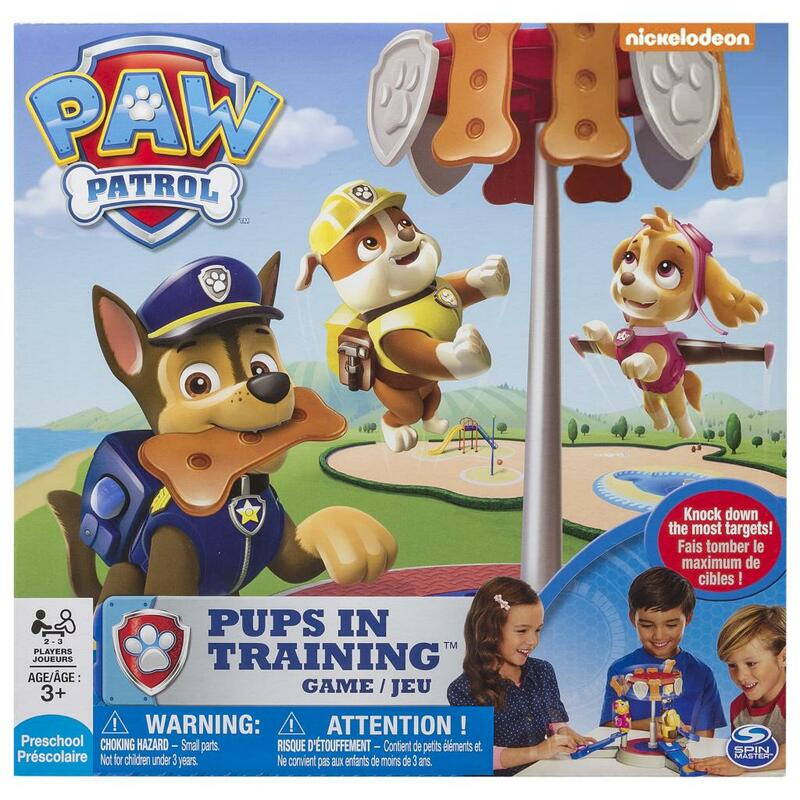 Spring into action with the Paw Patrol Pups In Training Game! 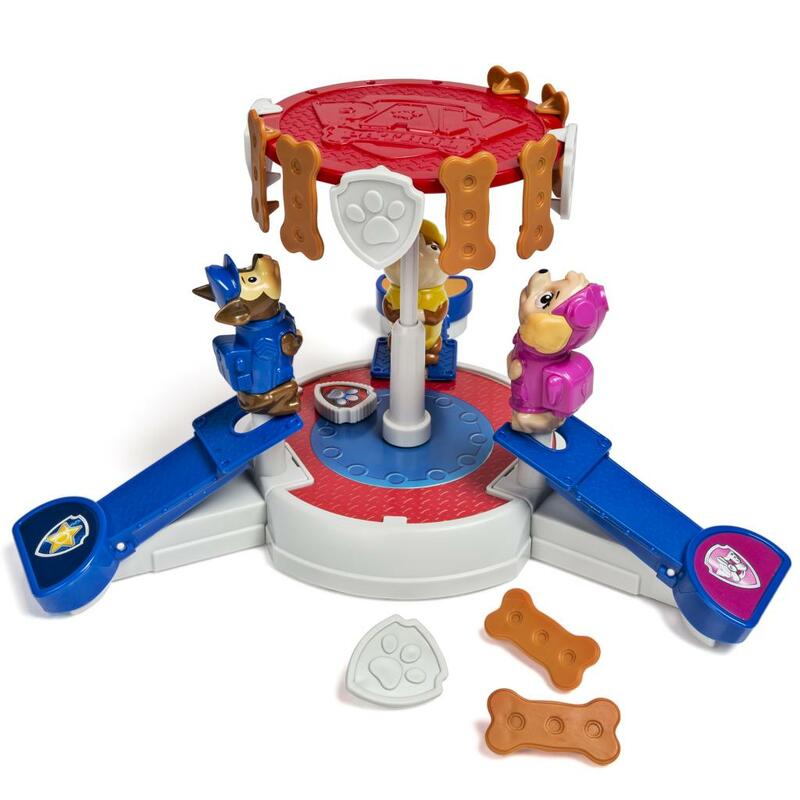 Your mission is to collect as many treats and badges as you can from the spinning target ring! Paw Patrol is on a roll! 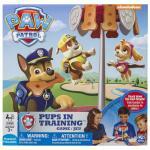 Spring into action with the Paw Patrol Pups In Training Game! Your mission is to collect as many treats and badges as you can from the spinning target ring. 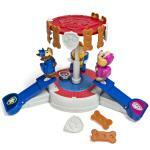 Set up is easy, just place the treats and badges on the target ring and give it a spin. 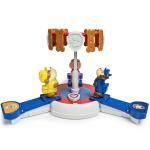 Then get behind your favorite Paw Patrol Character and press the Pup Flipper. When you knock off a badge or treat hold on to it, each one is worth points. The player with the most points at the end wins! 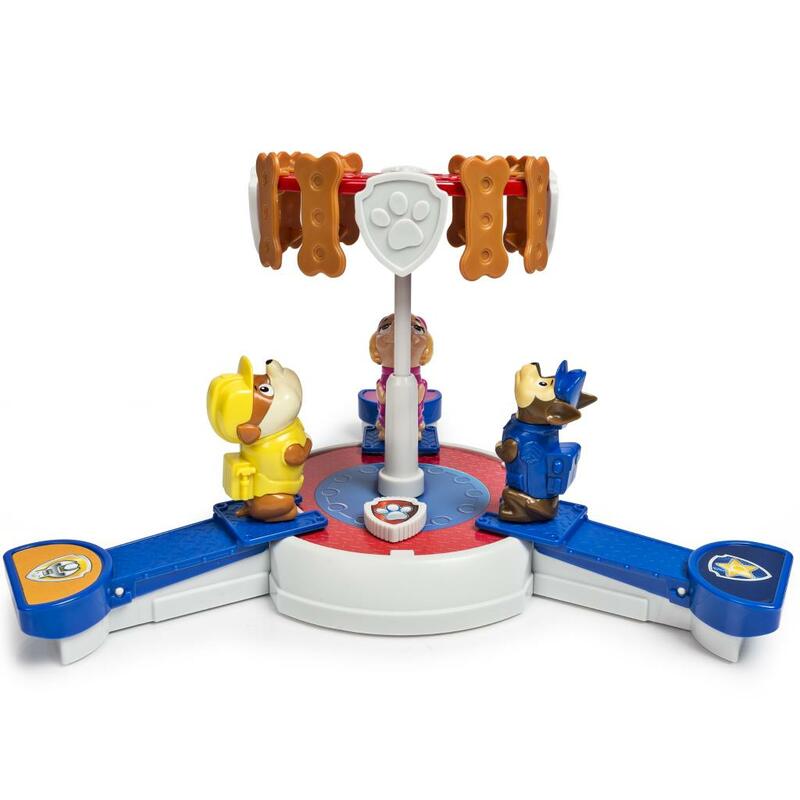 Bring home the action and adventure of the Paw Patrol Pups In Training Game! Get behind your favorite Paw Patroller and press the Pup Flipper. When you knock off a badge or treat hold on to it, it’s worth points!